Escape the flesh eaters in style (while sitting on cow flesh). 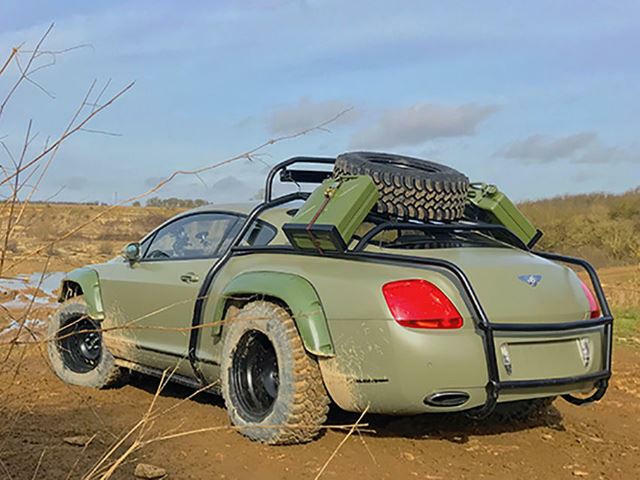 This is not your typical Bentley modification. We’re used to seeing all of those familiar (and starting to get bland, let’s face it) tuning jobs feature engine remaps, body kits, and wraps. 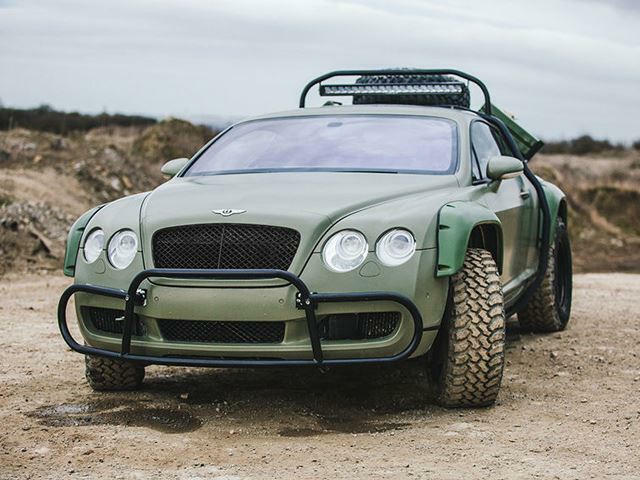 No, this is the Bentley Continental GT Rally Edition and it wasn’t built by Bentley. 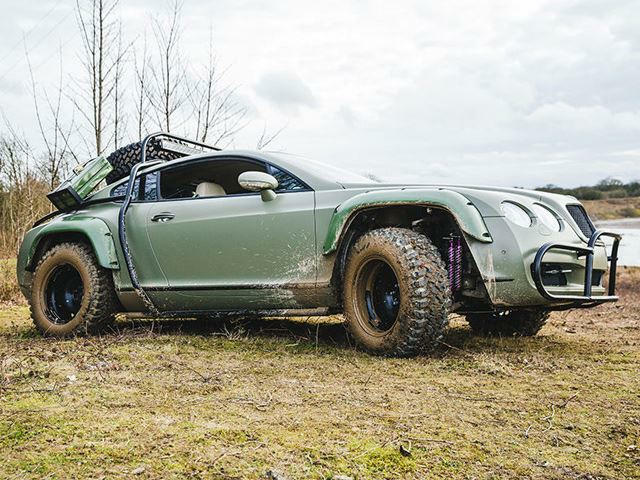 This was a bespoke project for National Geographic’s Supercar Megabuild TV series, and now it’s for sale on eBay. 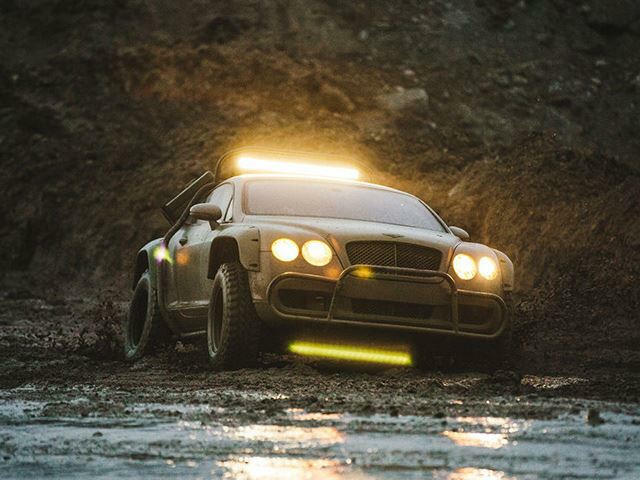 Despite its “Dakar-inspired” off-road look and features, this Continental GT still retains all of its original luxury features. Some of these include the beige and blue leather interior with memory seats, dual-zone automatic climate control, and satellite NAV system. Power comes from that familiar 6.0-liter W12 engine and power is sent to all four wheels through a six-speed automatic. 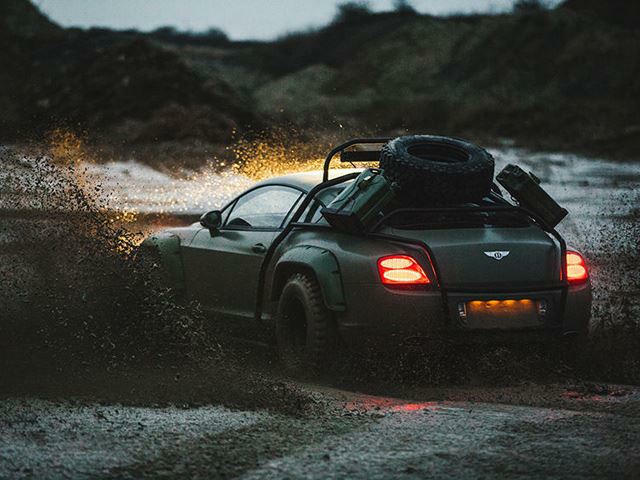 Heck, it’s even got push-button start, a feature that’ll definitely come in handy when those flesh eating zombies are coming after you and a quick escape is needed. 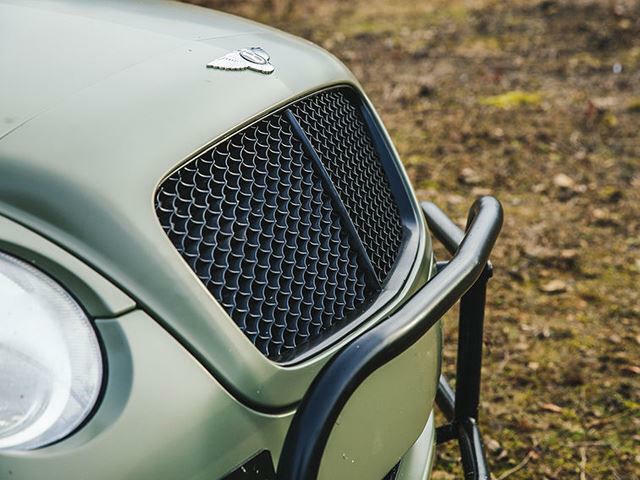 Yes, it does have a body wrap, but we’re digging the chosen khaki green color. As for modifications, it’s been given eight Quantum Racing single adjustable shocks, 17-inch steel wheels, special tires, an external roll cage, racing lights, and customer lower arms. when things get really rough. All told, it’s 25,000 GBP worth of upgrades and is fully street legal. As of this writing, it has a top bid of 23,300 GBP, but there’s six more days left until bidding ends. Admit. This thing is totally badass. Photos courtesy of shinenorth16/eBay.